The ACS Studio Prize returns in 2018 to award a student or recent graduate a £6,000 prize to cover the rental costs of a studio space in a UK city of their choice. 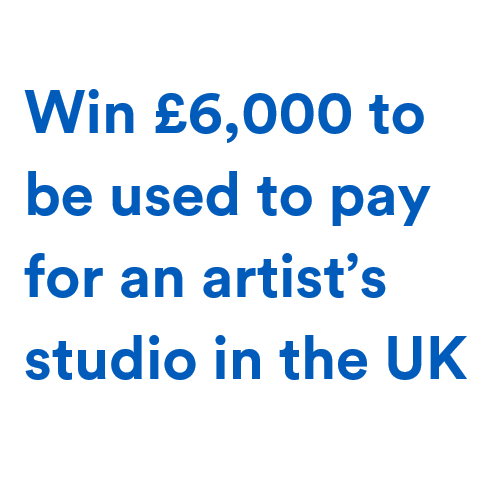 For the second year in a row, ACS is offering an artist the chance to win £6,000 to contribute to the cost of an artist’s studio in the UK. The Studio Prize was established after a number of our members spoke of the economic challenges they faced when starting their artistic careers. ACS realises how difficult it is to focus on your art especially after leaving university. The ACS Studio Prize was founded to help. You can enter the ACS Studio Prize 201​8​ here. To ensure that you are considered for the prize, please complete your submission by 30 June 201​8. Simply upload 5 images of your work and a short statement to be in with a chance of winning. ACS was formed in 2006 as a not-for-profit Community Interest Company to administer Artist’s Resale Right and copyright on behalf of our members. Since 2006 our membership has grown to over 1,000 artists and artists’ estates. Our members range from well-known artists such as Frank Auerbach, Paula Rego and Eileen Cooper, to estates of artists such as Lucian Freud and Barbara Hepworth. We are also proud to represent artists whose work has only recently started to sell regularly on the UK secondary market such as Bambi, Leonor Antunes and Pablo Bronstein. ACS is proud to fund bursaries for art students at leading institutions, whilst sponsoring a number of art prizes and charities. The ACS Studio Prize is just one such example.